Daddy wasn't expecting this at all. How did this happen? How did he become out numbered 4:1? Just shoot him now and bury him in pink, because he is a goner! How will he ever regain his heart now, because Al is now the proud papa to baby girl numero 3!! Yep..he refers to her as Pascual 3.0! Is that cute or what. 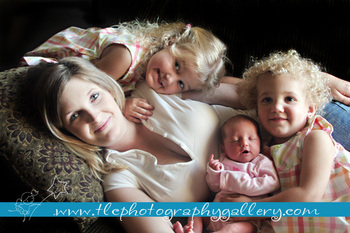 Mama is "tickled pink" with her newest addition and glad to add another member to her squad. Trust me, this is the closest to a cheer squad as Mrs. Pascual will want to get! Anywho...Ryan Michelle Pascual is here, happy and healthy! Her sisters love her and have decided that she can stay. Good thing! 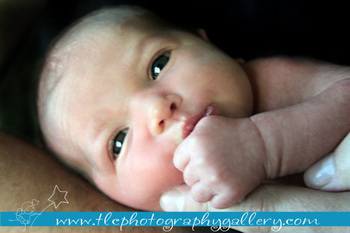 Once again Al & Karen have another cutie-pie. CUTE,CUTE,CUTE!!! Little Ryan is so adorable i love the picture of her when she was gently lying on the towels!! These are such precious children. They are adorable. 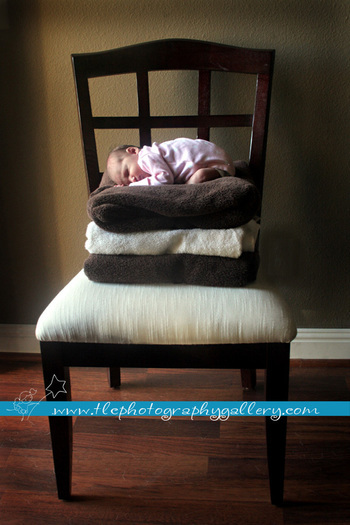 I love all the pics they came out great, my favorite is the little bundle of joy lying on the towels. Love it!